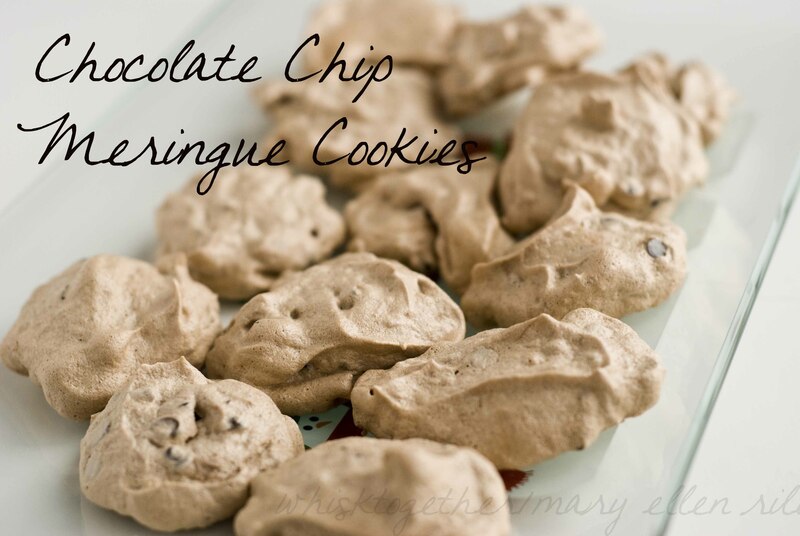 Recipe: These cookies are great for chocolate lovers trying to reduce calories. I also have a version for us non-chocolate people using maple instead of chocolate. SWEET! Or, you could omit the cocoa powder and just have mini chocolate chips. 2. With a whisk attachment if possible, whip the egg whites and cream of tartar until frothy. 3. Gradually add the sugar and whip on medium-high until stiff. You will see a difference and the batter will start to look glossy as well. 4. Mix in the vanilla and cocoa. 5. Remove the beaters and gently fold in the chocolate chips. 6. Place on parchment or silicone lined cookie sheets. I just used a regular spoon and it was about a large tablespoon full of batter. To make them look pretty and/or serve them to a gathering, put the batter into a large pastry bag with a 1M tip. You will get pretty cookies that way. 2. Beat the egg whites, cream of tartar and salt until foamy. 3. Gradually, add the maple sugar. Beat on medium high until stiff peaks form and the batter is glossy. 4. Drop on lined cookie sheets. Or, use a pastry bag with large tip. Sprinkle with additional maple sugar. Bake 2 hours. Turn off oven and let bake for another 3 hours or overnight. Mmm great idea, and they looks so tasty!